Welcome to 1620 Heritage Hill Drive. 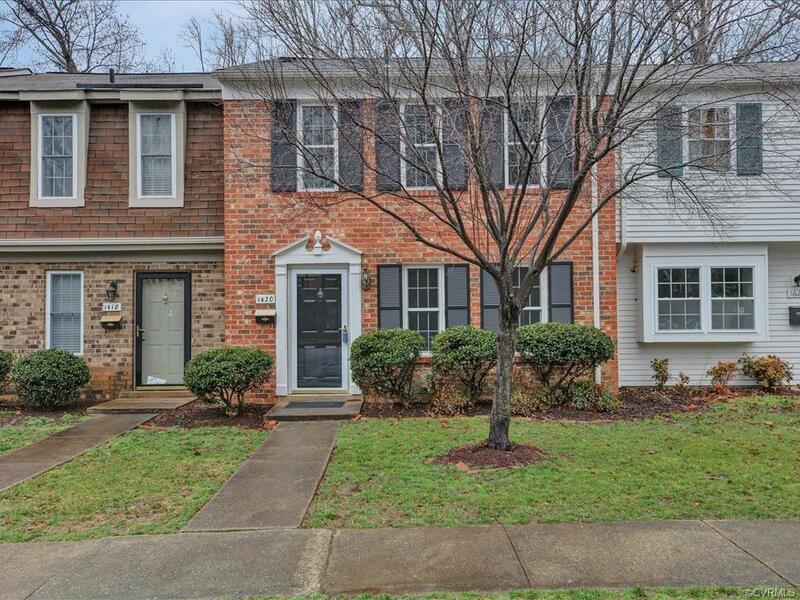 This conveniently located townhouse offers easy access to travel around Richmond and surrounding areas and is near shopping, restaurants and entertainment. A Freshly painted interior and new carpet on the stairs, in the bedrooms and in the upstairs hallway give this home a fresh, new look. Wood laminate floors downstairs make for easy maintenance and an updated look. High quality, Milgard replacement windows and sliding glass door in the family room, as well as a newer heat pump (installed October 2018) add to the value and enjoyment. The open floorplan is great for entertaining and flow. This townhome backs to woods and is fenced, offering privacy for outdoor relaxation. The kitchen features an eat-in area, as well as a newer Kenmore dishwasher and electric range and a newer refrigerator. This is a great house to call your home, come see it today!